Logitech has announced that later this month, it will debut a wireless Qi charger called the Logitech Powered that the company designed in collaboration with Apple. 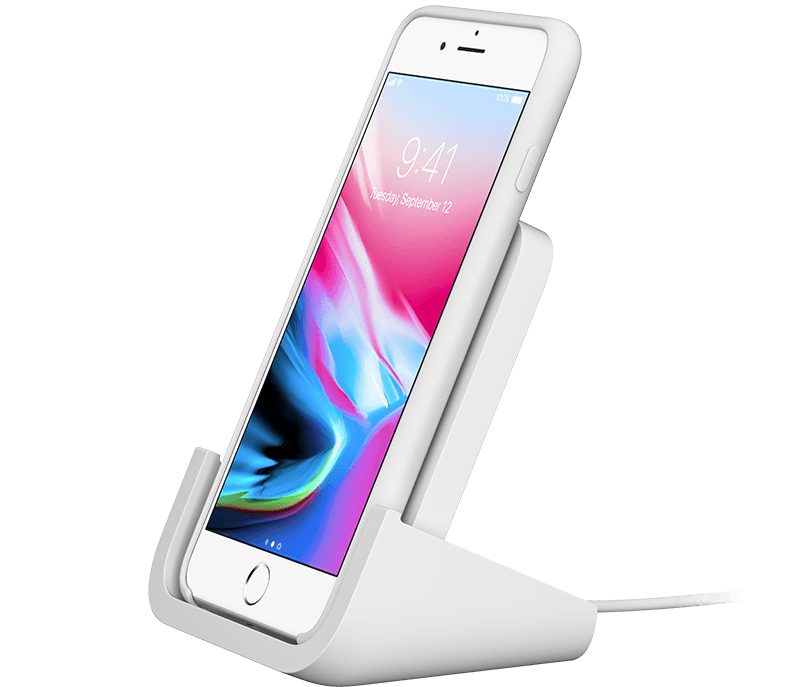 The charger delivers 7.5W of power, is vertically-oriented, and will work with the iPhone 8, 8 Plus, and X, which sit in the charger's U-shaped cradle. Logitech says that the iPhone doesn’t need to be precisely placed in the dock to charge. An iPhone will also charge even if set in landscape mode across the top of the cradle. Although Logitech’s press release says the Powered will be sold for $69.99, its website currently offers the charger for pre-order for $79.99. I’ve been using a vertical Qi charger for about a month and love how well it works with Face ID, which makes it easy to check something quickly on my iPhone when I’m at my desk. Although it’s on the pricey end of the spectrum, the ability of the Powered to charge in portrait or landscape and its vertical orientation makes it a tempting addition to a desk, countertop, or nightstand. The Logitech Powered will be available at Apple Stores and directly from Logitech, where it can be pre-ordered now.